As I have said many times, I’m a scientific skeptic. That is, I don’t just reject ideas simply to reject them, I actually reject or accept ideas based on the quality and quantity of evidence. I don’t pretend to know much about the Big Bang, but I know when it happened and what happened, but I leave it to experts to hash out the details. No one person can be an authority on every field of science, no matter how many initials follow their name. I’ve already mentioned how hard it is to become an expert in a scientific discipline. 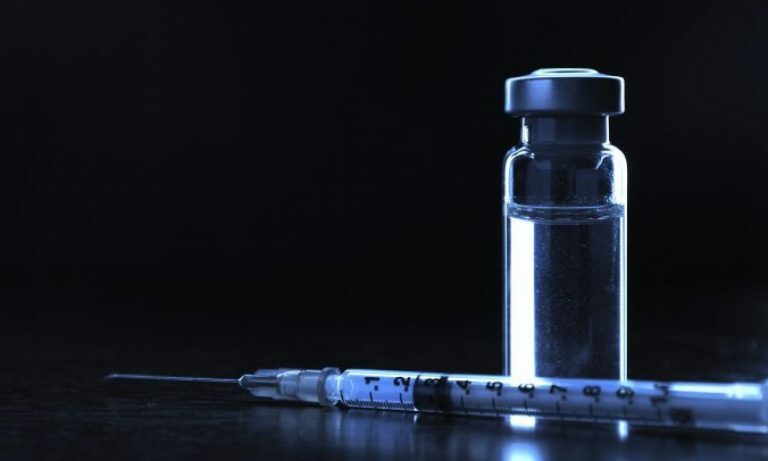 If you read this blog regularly, you’d think I’m completely interested in vaccines, with a little bit here and there on GMO’s, evolution, and climate change. But my own personal interests in biology are, in no particular order, is evolution of man (about which I’ve written some), endocrinology (about which I’ve written nothing), and extinction events (about which I’ve written little here). I have co-authored a couple of articles on Wikipedia on extinction events, have read dozens of books on the major extinction events, and have attended many scientific conferences on mass extinction. I may not have an official degree in extinction geology and biology, but I have spent several thousand hours doing real research in the area. But I’m pretty certain that the audience for this blog will find my discussion about extinction events to be a bit dull. However, I’m hoping that there is a cautionary tale about science that can be applied to some general rules I have about science. A couple of years ago, I started editing an article on Wikipedia about the Younger Dryas impact hypothesis. Without going into too many details, it was a hypothesis (named after an Alpine flower) that some sort of comet or asteroid impact struck the ice sheet covering North America, about 13,000 years ago, which lead to the death of the megafauna (mammoths, sabertooth cats, and whatever else lived in North America). It is hypothesized that the impact actually caused a temporary reversal of the retreat of the glaciers towards the end of the glacial maximum. I actually came across ran the article when I was reviewing some information I had read about climate change from the last glacial maximum (you know, when glaciers covered much of North America). I wanted to know if a bolide impact (meteor or comet) could caused a massive change in North America. Ironically, the “belief” in the Younger Dryas impact hypothesis mirrors the anti-vaccination crowd. Most of the consensus of real scientists is that there was no impact, and signs of the impact are overstated or misinterpreted. In fact, the proponents of impact hypothesis center on one research group in California, which has actually ended up in academic integrity issues because of their pushing this hypothesis. Sound familiar? You know, like Wakefield and his ilk pushing the “vaccines cause autism” lie. As I’ve said, the scientific consensus is formed by evidence, certainly not by screaming and yelling, demanding that people listen because real evidence is being suppressed (I told you it sounded like the lunatics in the antivaccination and global warming denial groups). There is absolutely no scientific evidence supporting a Younger Dryer impact event. If anything, the vast majority of evidence refutes the hypothesis. So maybe you’re a little interested in the Younger Dryas? I mean it is important if you want to understand what happened the mammoths or native cultures at about that time. Not all megafauna went extinct. You can find easily find bears, buffalo, musk ox, and numerous other large mammals that populate North America. These are megafaunal clades that were in North America before and after the supposed impact event. Some clades survived past the supposed date of the impact event, going extinct much later. Also, the same megafaunal extinction occurred far away from North America (Europe and Asia), so there was probably some other factor involved. You can probably develop some reasoning for differential survival, but soon you’ll be violating Occam’s Razor, that is the simplest explanation is the best. Creationists have to invent convoluted explanations for everything, which becomes laughable at some point. They claim that the event caused the demise of the Clovis culture, the aboriginal culture that inhabited North America. That the culture disappeared is not disputed, but it appears that the Clovis culture arose right around the supposed impact event, and that it eventually happens to all other cultures. It is possible that the Clovis people subdivided because of fewer resources (the megafaunal extinction which may have been caused by humans). It is possible that the world got colder (there was a change in oceanic circulation about the time of the demise of the Clovis people), which caused them to migrate to warmer areas. In addition, there is just no evidence for a decline in population size of the culture, which would be an expectation soon after an impact event. The proponents of the hypothesis also claim that there were huge fires across forest and plains, which would definitely be expected after a huge bolide impact, but also could be caused by other factors such as drought. Evidence of continent wide wildfires is nonexistent. There isn’t even evidence of widespread smaller fires. It’s possible that the impact did not cause fires, but only small, non-extinction event impacts have so little impact. The supporters of the hypothesis make a claim of a “black mat” seen in a few locations in North America (many near ancient shorelines). Sometimes, this “black mat” could indicate an extraterrestrial impact, but more often than not they indicate a megatsunami or even more mundane things. In other words, the black mat is an indicator of so many different geological events, it cannot be used, by itself, to make a claim of a huge impact. The black mat could be good evidence to confirm an impact event, but by itself, it’s rather useless. But, as I’ve said before, evidence for a scientific principle, whether something as powerful as a theory, or as preliminary as a hypothesis, is constantly growing. As other researchers analyze old and new data, as others attempt to repeat published data, and as some other researchers publish new data, we get better and better information. We can use the new evidence to evaluate an idea and attempt to debunk it. Or support it. With respect to the Younger Dryas impact event, it appears evidence continues to debunk the hypothesis. 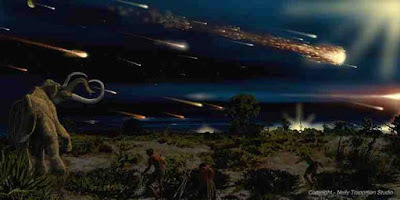 A new article, published in the Proceedings of the National Academy of Sciences (one of the most prestigious scientific journals on the planet), found that sediments claimed, by the hypothesis proponents, to be deposits resulting from a bolide impact were, in fact, dated from much later or much earlier time periods than the proposed date of the cosmic impact. The researchers examined 29 sites that are commonly referenced to support this impact speculation to determine if they can be geologically dated to around 13,000 years ago. Crucially, only 3 of the sites actually date from that time. Some of the errors made by pro-impact hypothesis researchers border on fraudulent. In one case, the pro-impact researchers dated sediment at one site based on a “horse” fossil. The review of that research site showed the fossil was actually that of a musk, which changed the date of the sediments to a much more recent one. This is why we do science. This is why we don’t rely on primary research. We like repeated evidence reviewed then reviewed one more time for good measure, so that we can start to determine the quality of evidence upon which our data is based. Amusingly, writing about the Younger Dryas impact hypothesis is the only time I’ve been stalked across the internet. I mean, I’ve made some pointed accusations about the anti-vaccination cult, but the most I’ve got is a lame accusation on an antivaccination website, and trolling of the comments sections of my articles. But here, I got threatened and called some creative names. Out of the blue, some crazed supporter of the Younger Dryas hypothesis, Thomas Lee Elifritz, an engineer (not a scientist) decided to go nuts on one of my posts, with some fairly uncivil commentary (I had to block one of his posts because it made me, who has the language of a Navy petty officer, kind of uncomfortable). He came to complain about one of my edits on Wikipedia about the Younger Dryas. I mean, I’ve deleted commentary on Wikipedia where authors try to whitewash Andrew Wakefield, so this was surprising..
Elifritz wrote, “I assume you are the prick you edited out the latest Younger Dryas Impact paper from Kennett et al. from its wikipedia page. Heckava job there, bozo.” Sounds just like an antivaccine lunatic. Well, it was funny that he attacked me here and not on Wikipedia, but then again, I notice that anti-science types tend to be cowards. The actual Wikipedia article had a few problems. First, it claimed it was a scientific theory, which it wasn’t, even if there was some evidence supporting the idea. As a reminder, a scientific theory is the top of scientific principles, it is almost a fact. A scientific theory describes what has happened and allows a scientist to predict what might happen given a set of conditions. It is developed from the scientific method through data, analysis, repetition and publication. It is repeatedly tested through new observations and experiments. Often a theory is developed through consensus by a large number of scientists. A hypothesis, on the other hand, is a proposed explanation for a set of observations. It’s probably the lowest level of the set of principles in science. As a result, I corrected that error in the article, while also stating that the hypothesis had been large discredited. But Elifritz went crazy, which was silly given the level of evidence. In essence, Elifritz and his ilk over at Wikipedia used the newest press release (rare the actual article) to “prove” that the Younger Dryas event actually happened. Again, the vast majority of scientists think it has been debunked, almost a consensus. But like the antivaccine bullies, he couldn’t let it go. Even though I’m talking about comets, and mass extinctions, and glaciers, and native cultures, it is a good story with respect to how science works. Scientists are allowed to propose hypotheses that drive against the current dogma. That is how science works. But the hypothesis must be supported by evidence. And when new contrary evidence is presented, the prevailing viewpoint stands. Now one can believe whatever one wants, we don’t control thought. But don’t expect us to take your hypothesis seriously if you’re going to throw an immature temper tantrum about your pet idea when we point out that your evidence is unconvincing or may even be fraudulent. This applies to those who are pushing a new extinction hypothesis. Or that vaccines cause autism. Both have been utterly dismissed by real science. And by dismissed I mean crushed into a few random molecules of nonsense. Kerr RA. 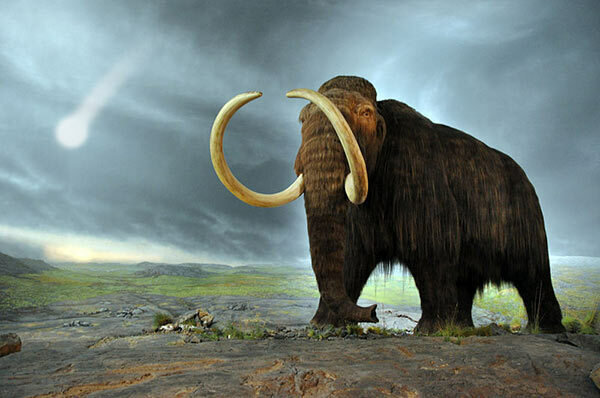 Mammoth-killer impact flunks out. Science. 2010 Sep 3;329(5996):1140-1. doi: 10.1126/science.329.5996.1140. PubMed PMID: 20813931. Meltzer DJ, Holliday VT, Cannon MD, Miller DS. Chronological evidence fails to support claim of an isochronous widespread layer of cosmic impact indicators dated to 12,800 years ago. Proc Natl Acad Sci U S A. 2014 May 12. [Epub ahead of print] PubMed PMID: 24821789. Pinter N, Scott AC, Daulton TL, Podoli A, Koebert C, Anderson RC, Ishman SE. The Younger Dryas impact hypothesis: A requiem. Earth-Science Reviews, 2011 June; 106 (3-4):247-264. doi: 10.1016/j.earscirev.2011.02.005. Next PostNext Inventing your own vaccine schedule? Not a wise idea.